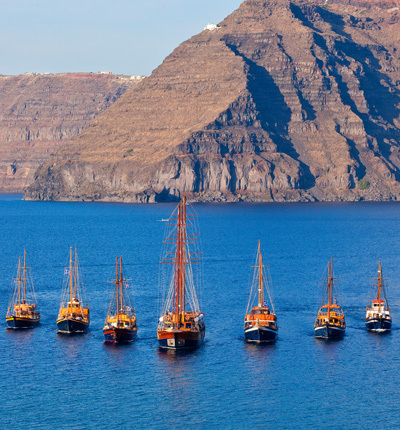 Caldera's Boats welcomes you to Santorini island! 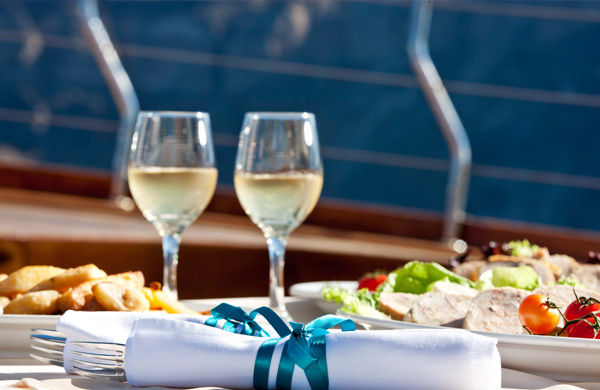 The sunset cruise promises you a magical experience with a perfect dinner! 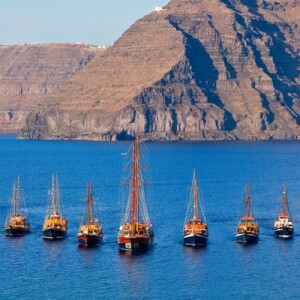 We welcome you to Santorini! 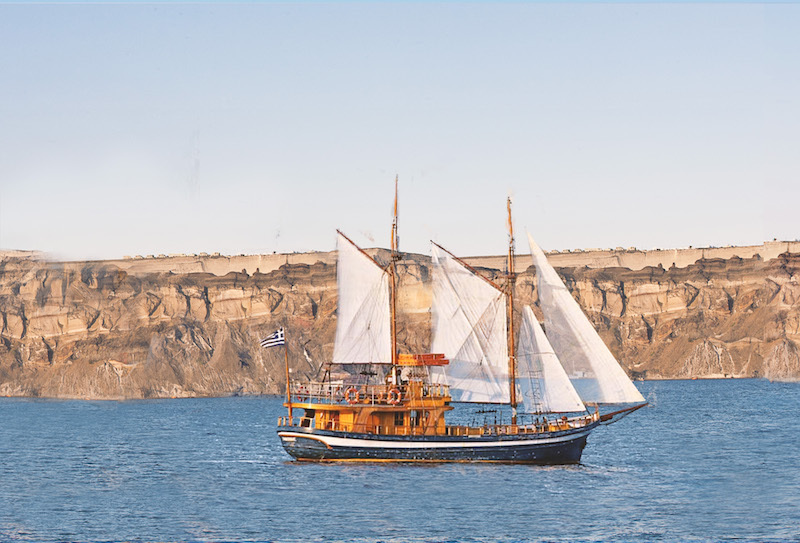 Caldera’s Boats organizes and performs boat tours and excursions for groups and individuals by traditional caiques in Santorini. 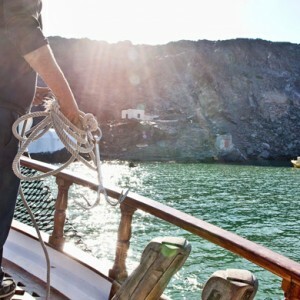 The following seven special itineraries are designed to help you explore the island’s best kept secrets. 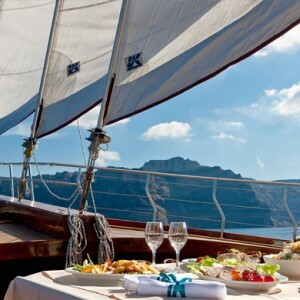 Step aboard and enjoy one of the half or full day excursions, unless you wish to customize your boat ride for a totally tailored experience at sea, in which case you may contact us to forge your personal itinerary. 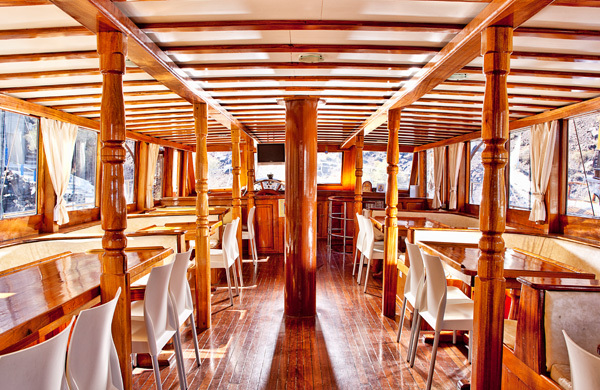 Just book an excursion with transfer and we provide you our bus services at your meeting point! 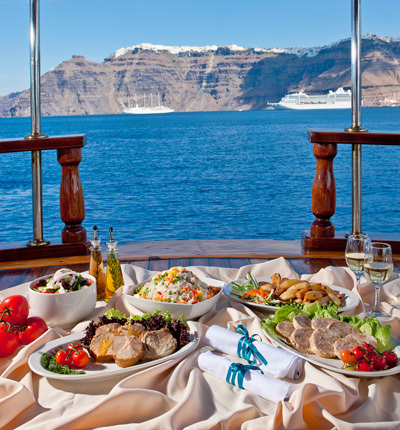 Our dinner buffet is something special, designed only for you. 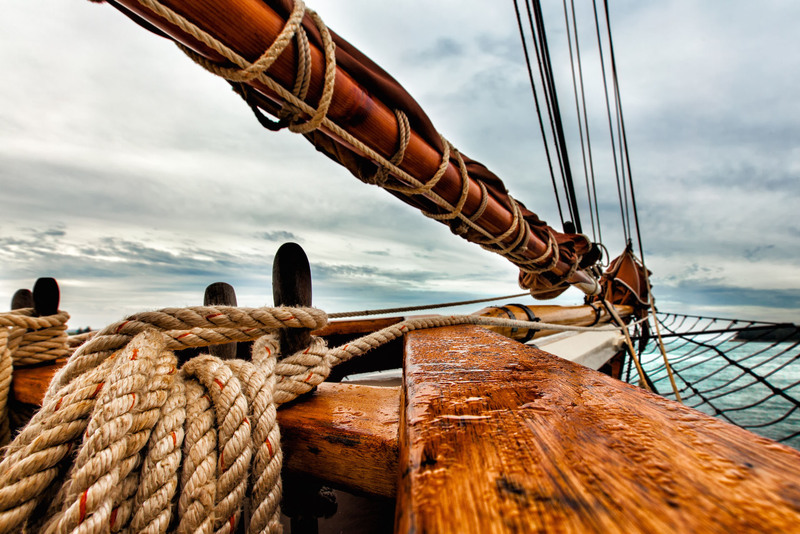 All are fresh and cooked on board. 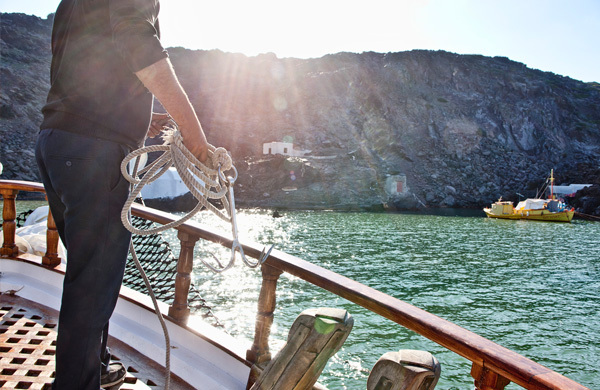 Our highly experienced and helpful guides offer you the opportunity to enjoy the tour in your language. 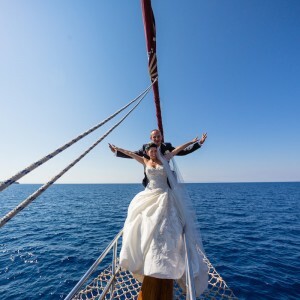 The unique and romantic experience of sunset is all you need. 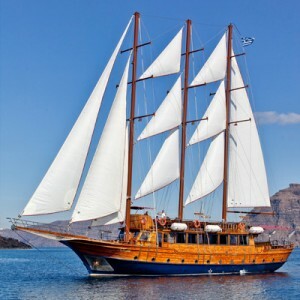 Ideal trip for relaxation and many photos. 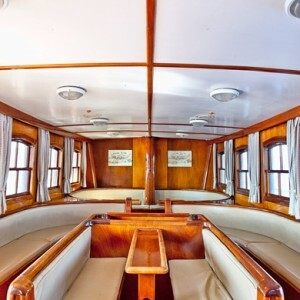 Our fleet's flagship which make the romantic sunset excursion. 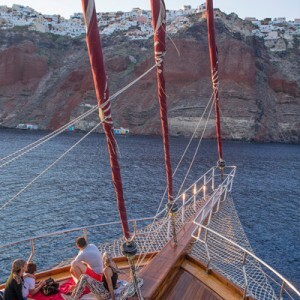 Traditional Santorini wine with the magical sunset is all you need to relax. 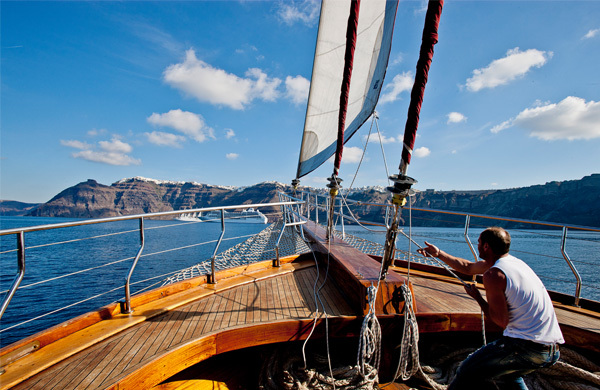 Our traditional wooden boats promise you an unique experience inside Caldera. 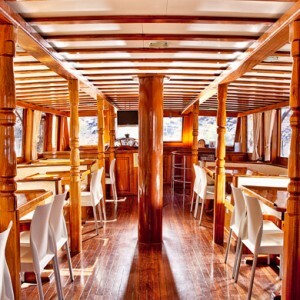 Our ideal traditional dining room in Afroditi boat where you can enjoy your dinner. 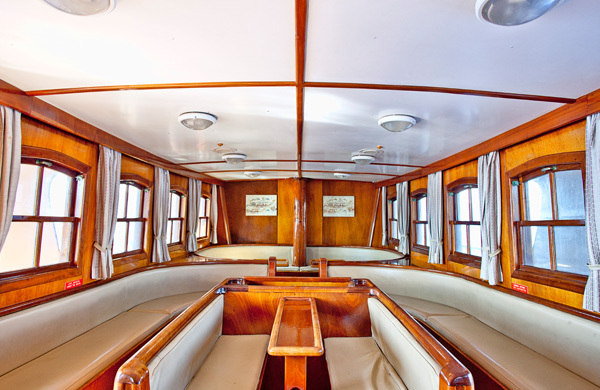 If you want to avoid the high temperature you can sit in our sitting rooms. 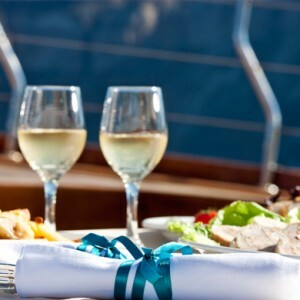 You can also enjoy your food and wine outdoor in combine with the perfect view. 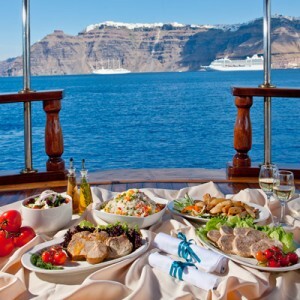 Some of our tasty plates that are served in the Sunset Cruise. 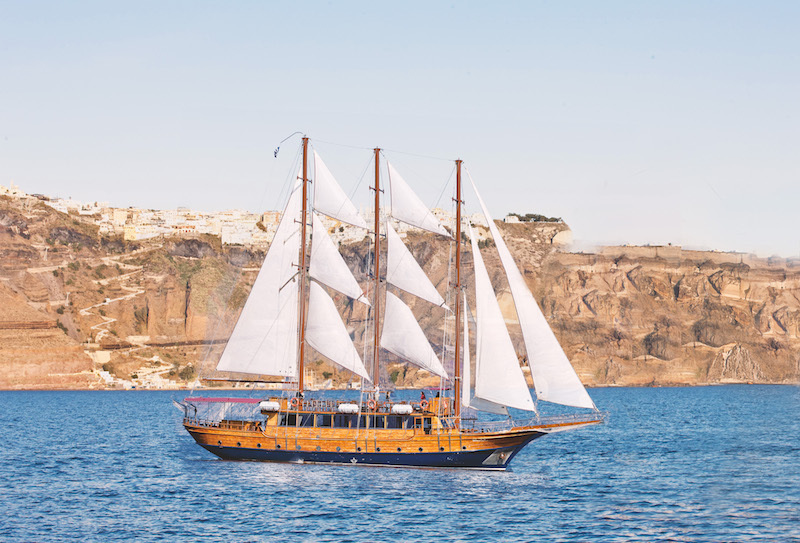 Aphrodite near the harbor in Oia where they watch the magical sunset. 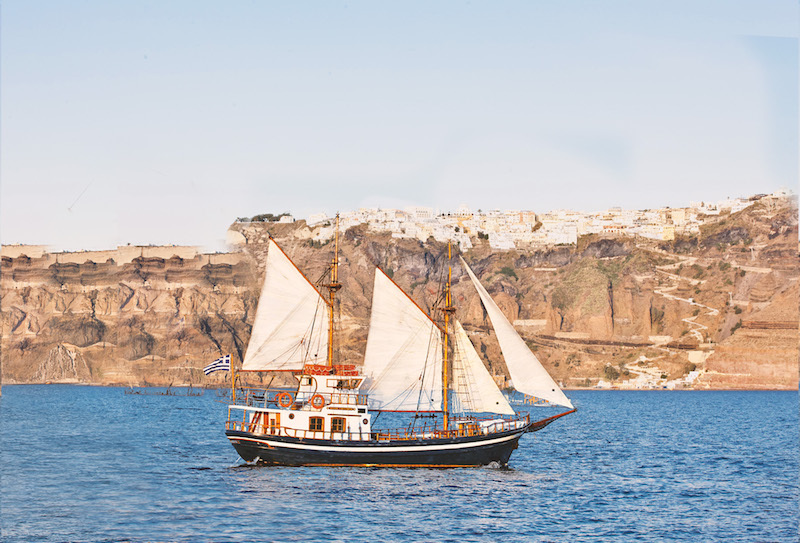 Before Aphrodite cruise in Oia for the sunset always opens its sails. 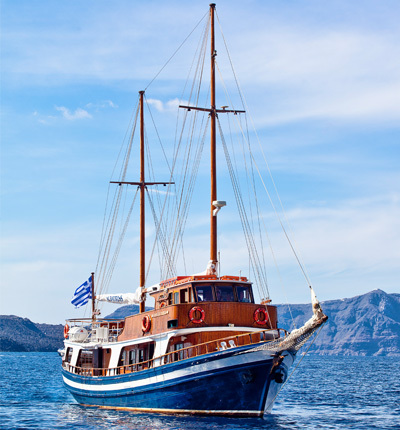 While our boat reach the bay with the hot springs. 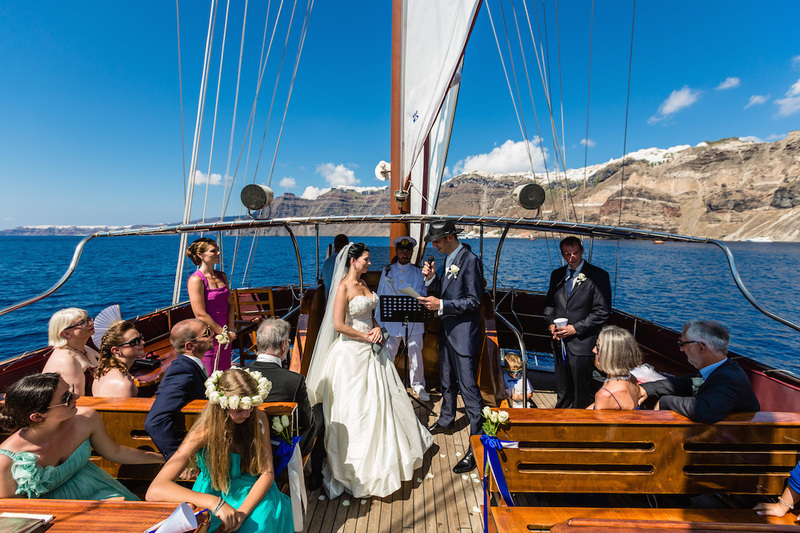 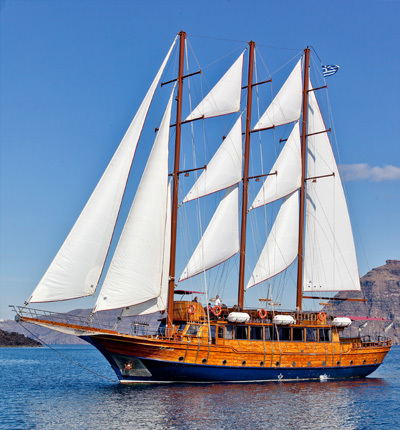 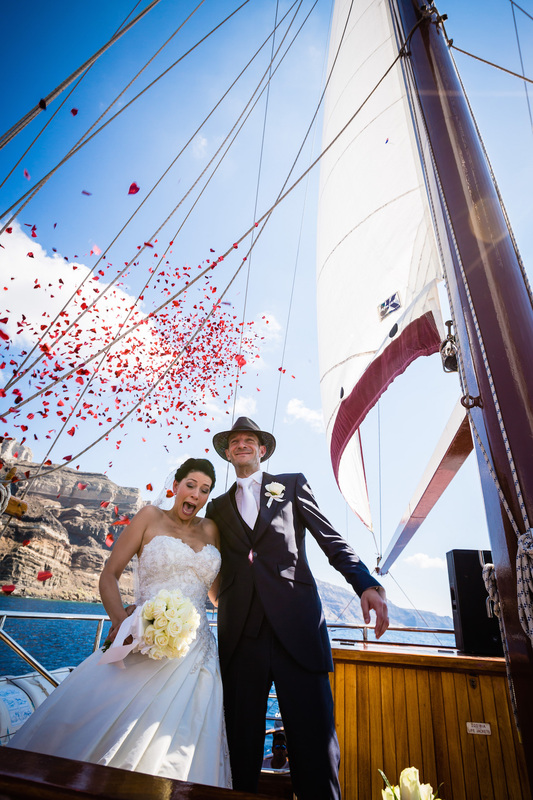 The deck of a traditional caique sailing serenely off the shores of Santorini is perhaps the most romantic wedding venue on Earth! 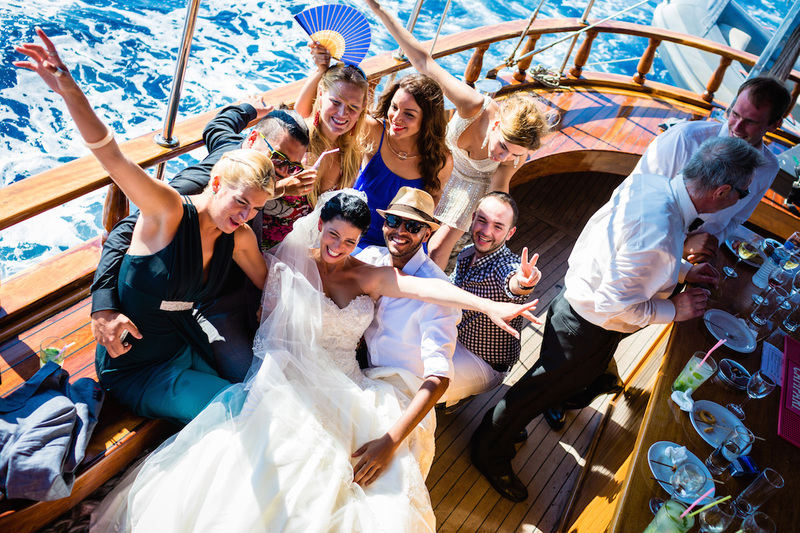 The fairy tale starts from the moment you step on board, as you will experience the unparalleled services of a crew dedicated to turn the happiest day of your life into an indelible memory. 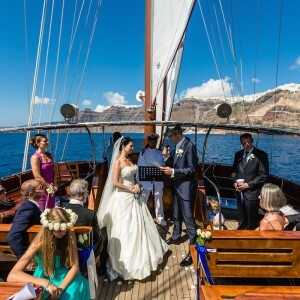 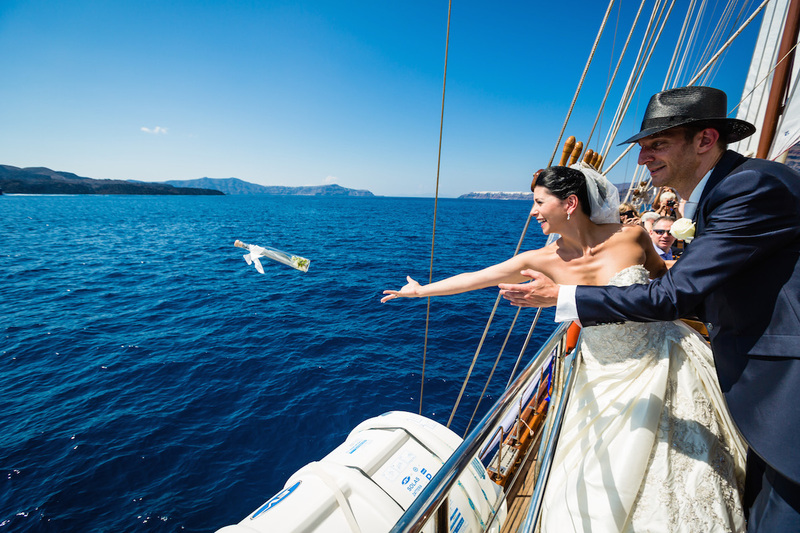 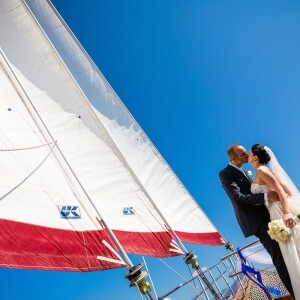 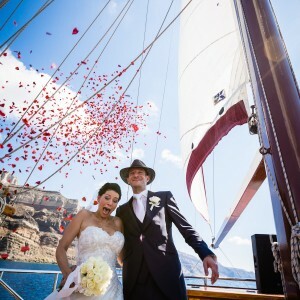 The expertise and professionalism of the staff guarantees an ideal wedding that provides you everything: romance, enchanting flower decorations, the right soundtrack, a gourmet dinner for all the guests and of course a private ceremony conducted by the Captain at sunset with Oia in the background. 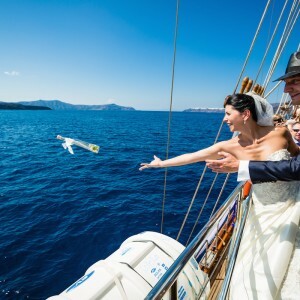 Meanwhile, you and your guests will be enjoying a perfect short cruise around Santorini –and all this, at a fraction of the cost of a typical wedding ashore! 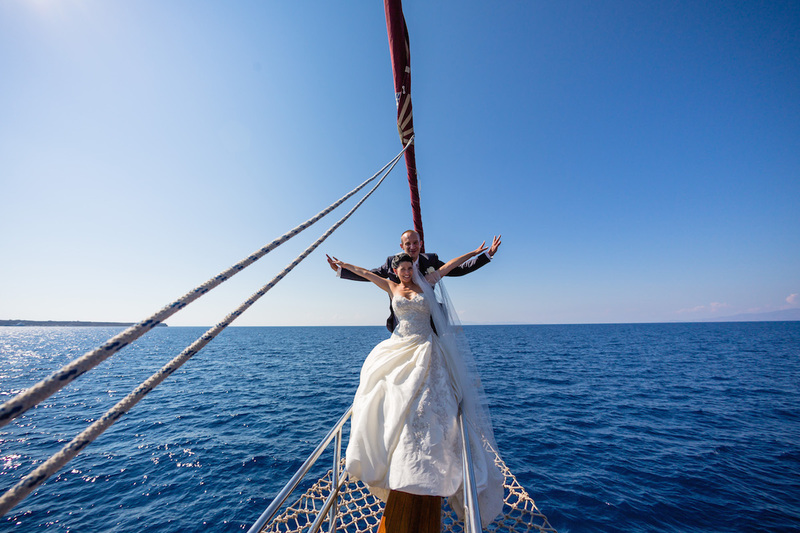 If you are already married, no need to worry. 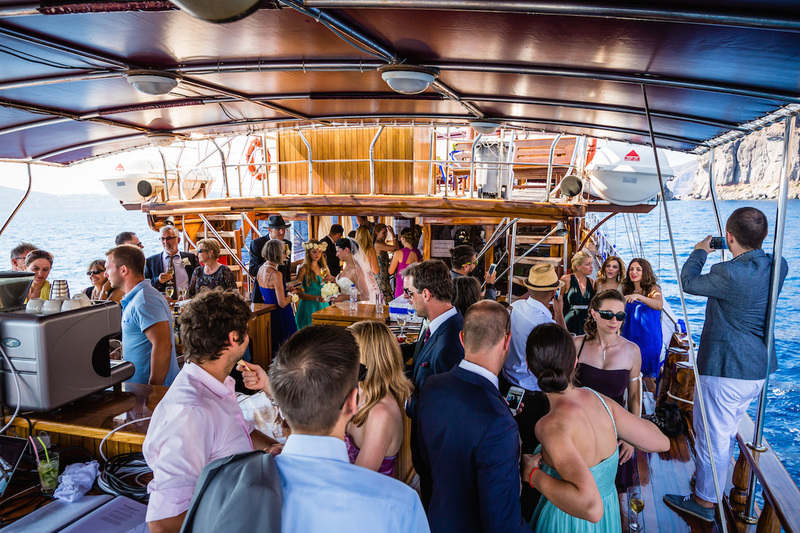 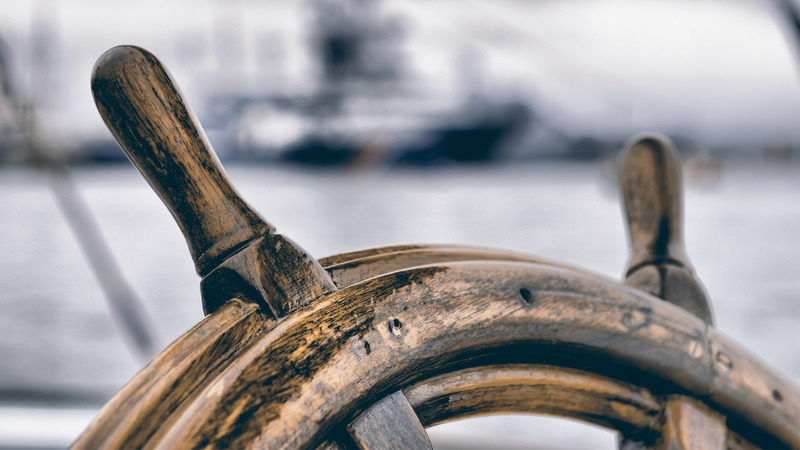 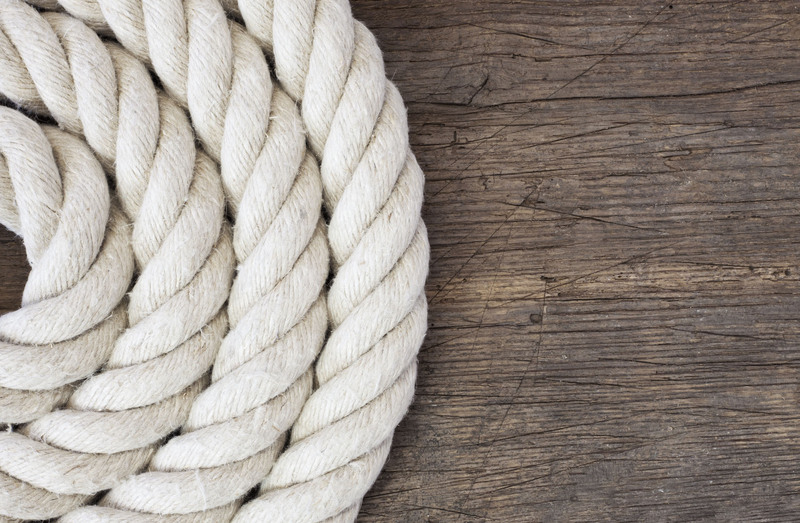 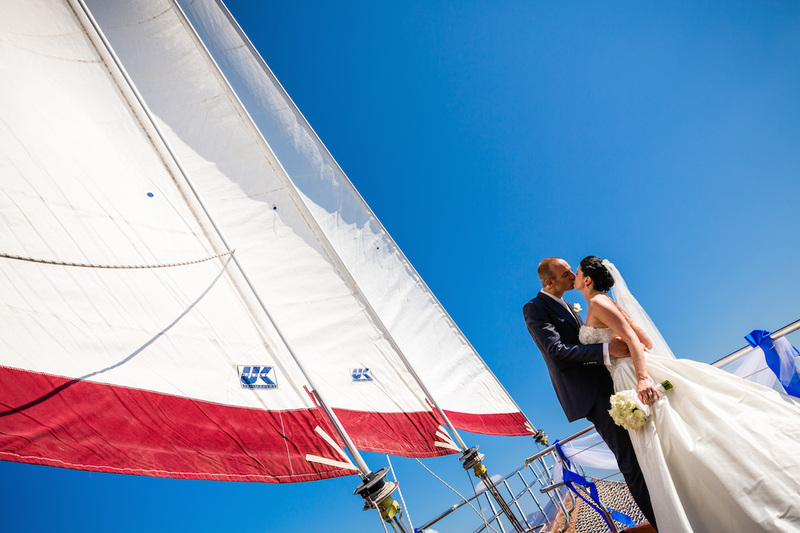 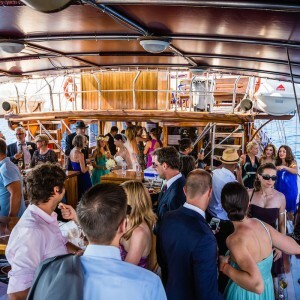 You may still book a sailing boat for a private renewal of your vows, a romantic candle light dinner or even anniversary parties and special events. 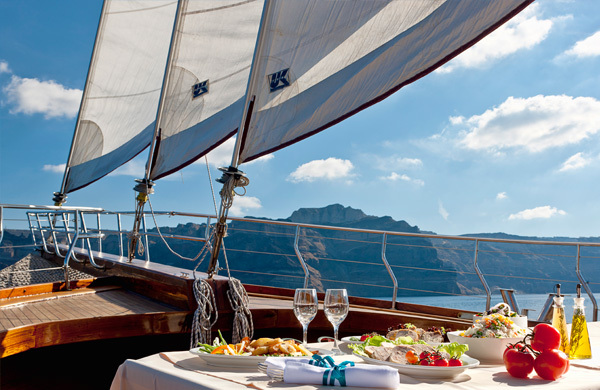 So, don’t hesitate to plan your romantic adventure in the most famous place in the world: Caldera. 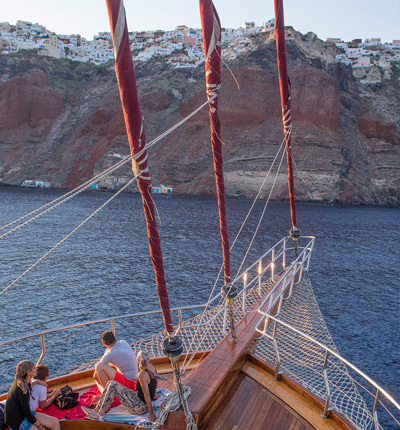 Live your personal dream under a blanket of stars, gazing at Fira’s city lights in total bliss! 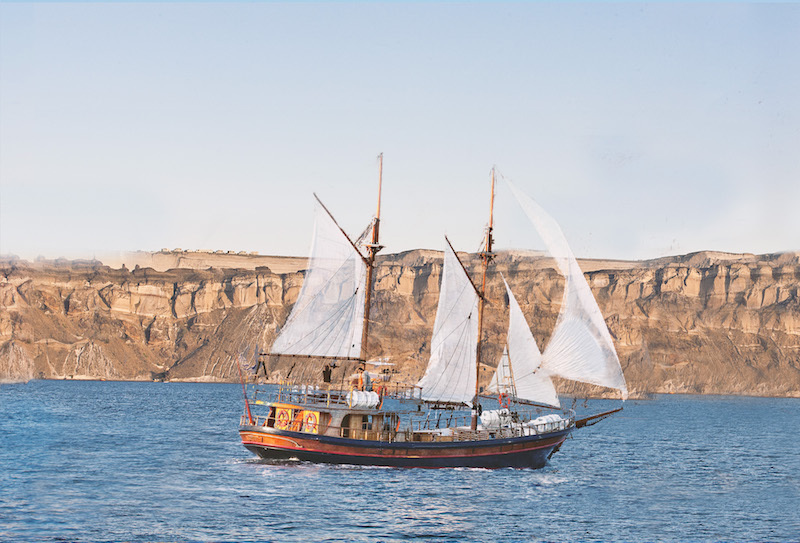 Below is the form. 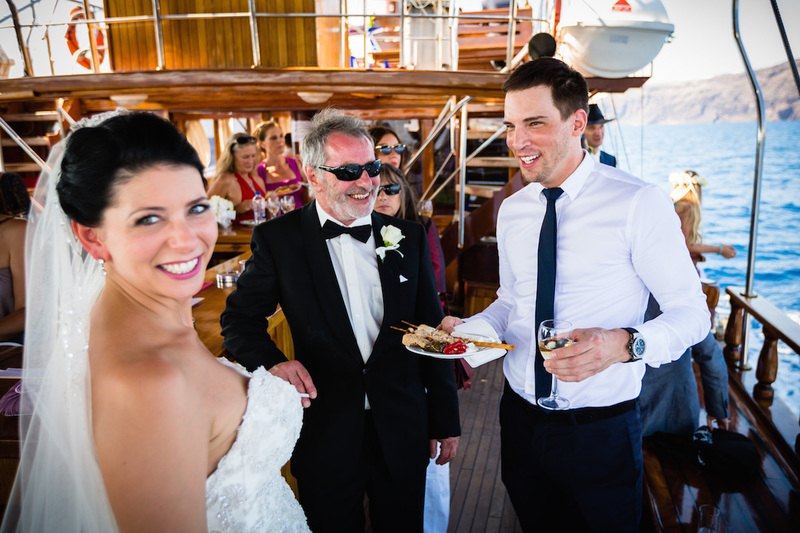 Don't hesitate to contact us for extra information. 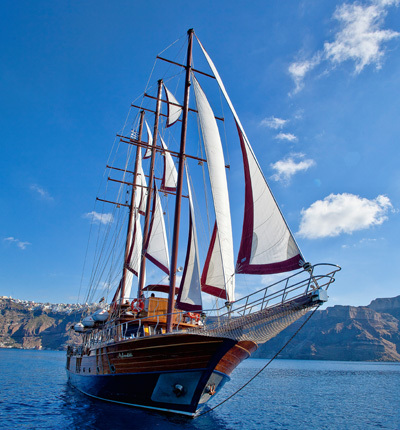 you will relax with a glass of traditional Santorini wine and this breathtaking view in front of your eyes!